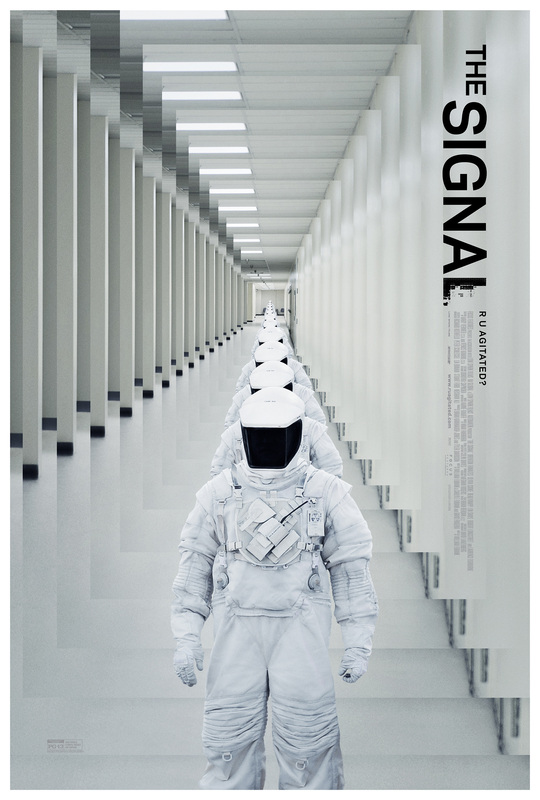 Just after the viral marketing for the indie sci-fi flick The Signal kicked off last week, we got the first trailer for the film that debuted at the Sundance Film Festival. Now a second poster has arrived for the film, and it's pretty trippy. A walking, radiation-suited figure (maybe Laurence Fishburne) is given a kaleidoscopic effect, and it's just a stylish image that catches the eye and even creates a bit of mystery. This is such a cool movie, and we hope audiences will seek it out this summer and enjoy the ominous feel, the twists and turns, and just an original sci-fi flick amongst a pool of franchises, sequels and reboots. Look! Very nice stuff here. This film will rock. Cool poster. This movie looks really interesting.